Your Hiragana, Katakana, Kanji and Vocabulary memory. As time passes by, you'll progressively forget the items you learned. These charts will keep you motivated and are based on the SRS system. A section called "Level History" has also been added and tracks your every-day progress in the hierarchy. You start as a white belt beginner, and the goal is to become a Sensei. This table will give you a complete and general history of your progress. I have a lot of other ideas that can be created concerning statistics, including some interactions between members and groups. I will make decisions based on your interest in these features. JA SENSEI USERS: these statistics are available on the website www.japan-activator.com, but your JA Sensei account is synced with the website. 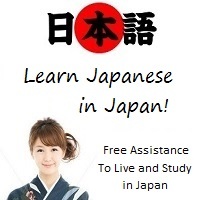 In other words, you can use JA Sensei and check statistics on the site. I plan to implement some statistics directly into JA Sensei, too. But again the priorities will be defined depending on your interest. Very soon, new lessons will also be added to the website.